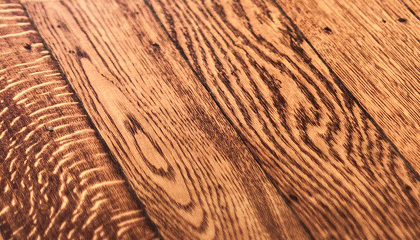 Antique Oak Flooring is our speciality, and we have developed repeatable lines of Russian, European and American Antique and reclaimed Oak boards in random widths available either unrestored or fully prepared for your period project. 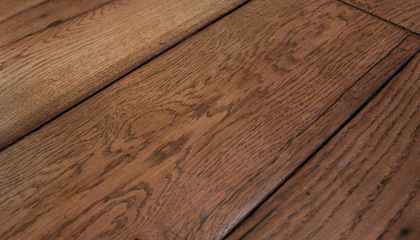 Beautiful original surfaced French Oak from which a large variety of end results can be obtained. A staple stock line. 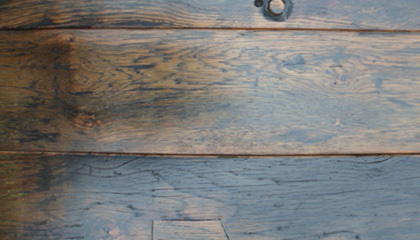 Old French Oak boards completely re-machined to offer a brighter fresher reclaimed Oak board option. 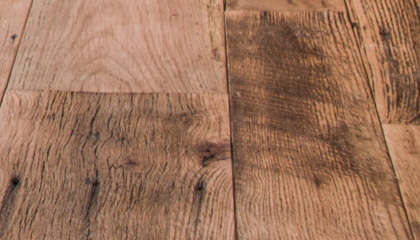 These extremely old hand hewn and old worn surfaced boards offer something unique within our range, a serious restoration stock line. Much sought after for restoration work and a must for that high end interior. 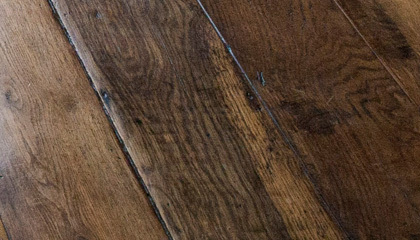 Antique Oak floorboards are generally reclaimed in a variety of widths, thicknesses and lengths. The general condition can vary considerably and most batches require some re-engineering and processing to create a viable flooring option. The secret to this is to protect and retain the antique patinated surfaces built up over the centuries. It is this original old weathered and worn surface which gives these lines a totally unique quality and a board by board individual character. We can hand restore these surfaces with a range of traditional finishes to complement and backdrop that period interior. The finished colour and degree of patination or rusticity can be adjusted within the finishing process whilst depth of colour and quality of finish is infinitely variable, We suggest you avoid the use of heavy duty floor sanders and adopt a process of sympathetically processing individual boards to maximise the natural character.